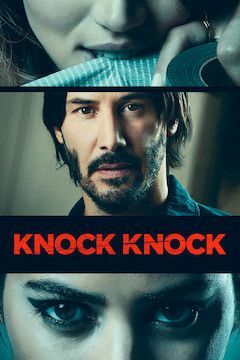 Horror master Eli Roth writes, directs and produces this thrilling tale of a loving, committed husband and father who chooses the wrong night to answer the door. With his wife and children away on a beach vacation for the weekend, Evan Webber (Reeves) receives a knock on his door on a stormy evening. Standing before him are two beautiful women (Izzo and De Armas) absolutely drenched from the rain, asking to use his phone. As the evening progresses, the situation quickly devolves into a deadly, seductive game that leaves Evan fighting for survival.